The mini-brains show promise to replace hundreds of thousands of animals used in neurological experiments. These are some of the most invasive and painful experiments, including inflicting brain injuries to study strokes and head trauma, inducing seizures, exposure to nerve gas and chemical neurotoxic agents, and surgical manipulations like craniotomies. 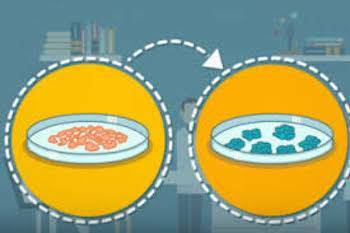 We have entered a new era in cell culture technology, in which scientists can grow three-dimensional cultures that form “organoids” – miniaturized structures resembling their full-grown counterparts in key areas of structure and function. The latest model to make waves is a new “mini-brain” developed by researchers at Johns Hopkins Bloomberg School of Public Health. This is not the first time scientists have created mini-brains. Since 2013 a number of models have been developed. 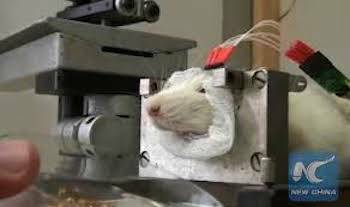 But the ones created at Johns Hopkins have key unique features that show promise to reduce the suffering of many thousands of animals in neurological experiments. The Hopkins mini-brains are created from induced pluripotent stem cells (iPCS) taken from the skin of human adults, which are genetically reprogrammed to grow into brain cells. They develop over 8 weeks to contain four types of neurons and two types of support cells typically seen in the human brain. For the first time ever, these cultured brain cells spontaneously displayed the same kind of electrical cell-to-cell communication seen in a real brain. Another first was the development of a myelin sheath around the axons, an important feature for studying neurodegenerative diseases like multiple sclerosis. But perhaps the most important feature of these mini-brains is that they are fully standardized, a crucial factor for an experimental model. In fact, standardizing the model was a priority for the lead researcher, Dr. Thomas Hartung, who is also the director for the Johns Hopkins Center for Alternatives to Animal Testing, and a renowned expert on cell cultures. Dr. Hartung’s goal is to make these mini-brains widely available to other researchers. He has applied to patent them and sell them through a new company, Organome, LLC. He estimates they will be priced around $20 to $30 – about the same cost as purchasing a single rat from a supplier. The mini-brains promise to fulfill a pressing void in neurological research because animal models have consistently proven to be poor models of human disease, including animals that have been genetically modified to carry some human disease traits. 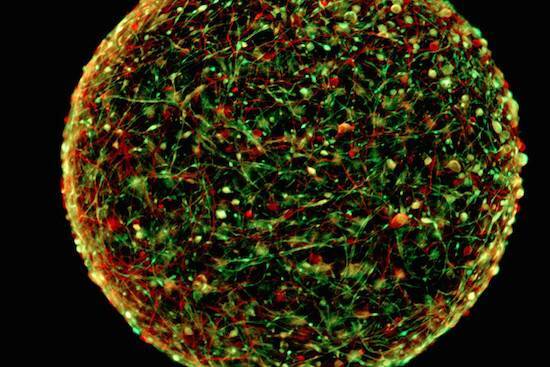 Mini-brains composed of human cells have the capability to deliver results that are human-specific. The models can be created with cells from individuals with specific neurological diseases, like Alzheimer’s, Parkinson’s, multiple sclerosis or autism, allowing for the study of these diseases. The Johns Hopkins’ mini-brains are already being used in research on brain trauma, viral infections and stroke. “The future of brain research will include less reliance on animals, more reliance on human cell-based models,” he said.